Here at B within our health PR division, we’re sticking to our B-Healthy, B-Beautiful Mantra and what better way to curb our sugar cravings after a morning inbox than a delicious protein-packed healthy recipe that’s just like a sweet treat? 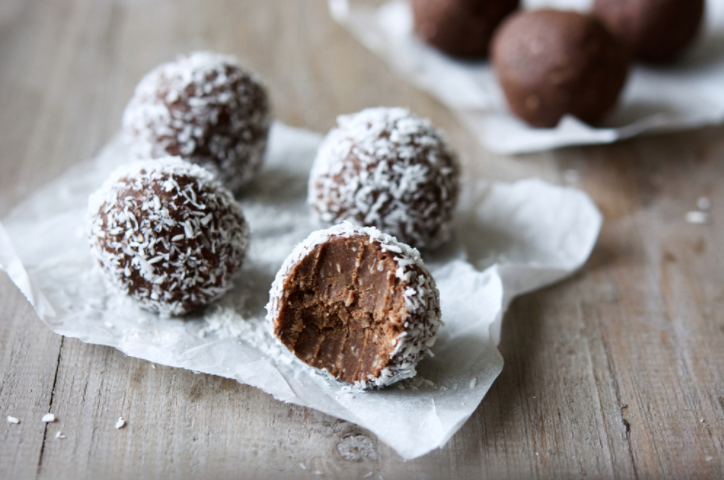 These easy to make snacks can be infused with any of your favourite superfoods, from Chia to Baobab powder to add a nutritional boost to your daily diet and act as a satisfying alternative to your chocolate digestive! 1 Place the nut butter and your honey into a saucepan over a low heat, and stir until melted and just combined. 2 Remove the pan from the heat and stir in the cocoa (sieved), coconut, oatmeal, whey protein, chia and the sesame seeds. If you have any other ingredients, now is the time to add them! 3 Roll the mixture into walnut-sized balls, then roll each one in a coating of your choice (Cocoa, chia and sesame seeds work best). Store them in the fridge in an airtight container. We hope you enjoy our healthy recipe!